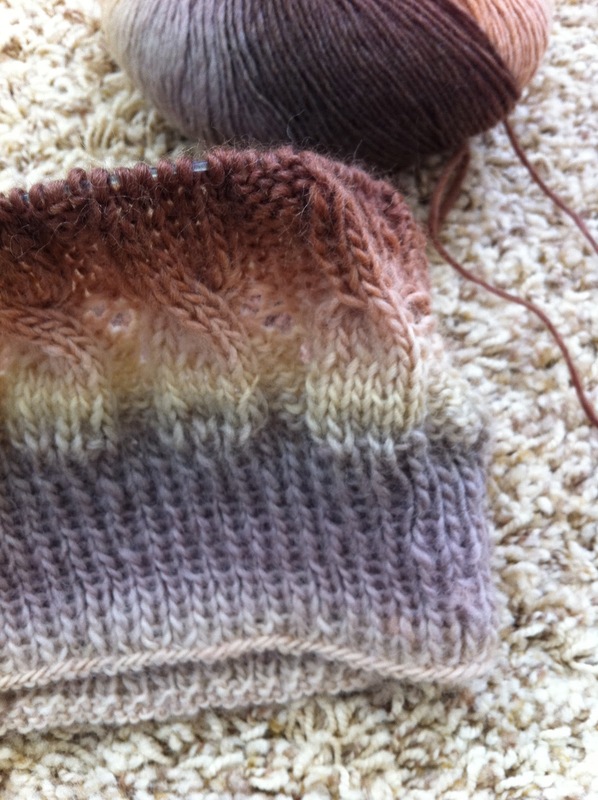 I found a pattern for Hermione's awesome hat in the Harry Potter Half-Blood Prince movie. When I saw that hat I knew it was the perfect hat for Leah. 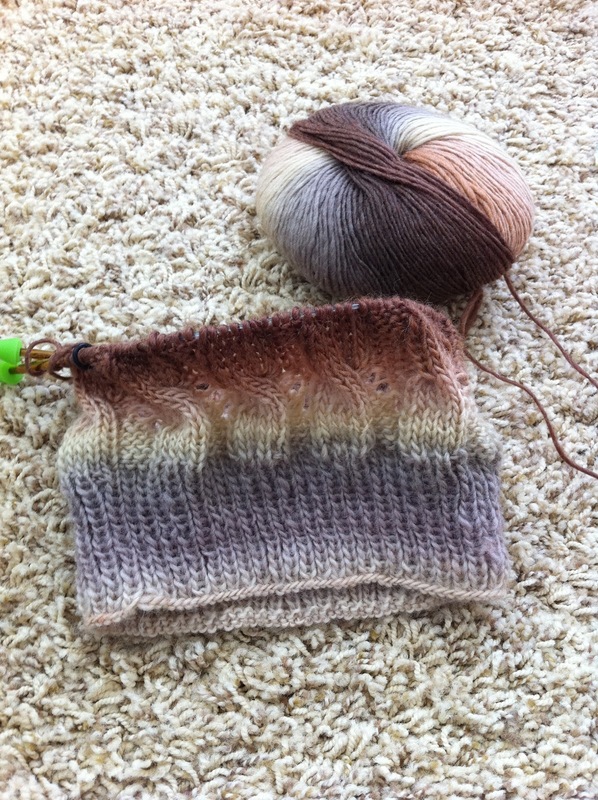 I found a pattern for it at the JL Yarnworks blog. The pattern Hermione's cable and eyelet hat is great. Easy and pretty. It would make any gal a great looking hat even if she is not a HP fan. 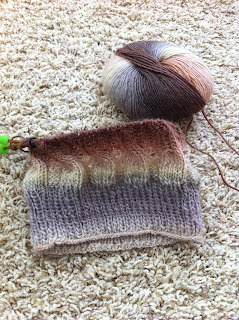 I'm making slow progress only because I have several other knitty gifts to get done before the end of October. In all likelyhood this hat for Leah may end up being a stocking stuffer for Christmas. My plan is to have it complete to surprise her on Christmas. I know she has been desperate to wear so it will be such a treat to see her excitement in a few months. You can see the detail work on the hat showing the cables. The eyelets are hidden with the purled sections of the hat giving it a really beautiful look. I can't wait to see how it turns out. I may make one for myself.